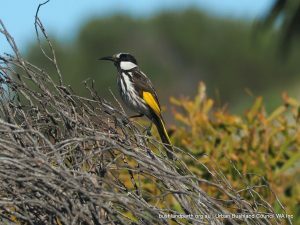 The Friends of Trigonometric and Glenbar Park bushland has the aim of working with the City of Joondalup and its volunteers to ensure the revegetation of degraded areas, manage weed control and rubbish removal of these parks. By involving the local community, including adults and children, assist with these tasks along with the city staff. • Weeding (remove the weeds before they seed) children involved. • Spraying will be undertaken by the city with coordinated weed removal to reduce the need to use chemicals. The overall aims are to control the feral weeds, replanting and rubbish removal working with various stakeholders. Also to ensure the future of the two coastal reserves, one which has a typical capstone environment and the other typical local coastal heath. These areas hold a wide variety of species and should be preserved for the future.